Fire has been treated in the most complicated terms of the classic Kurdish poems in which the lovers find life. Besides, longing and missing for the sweet has been narrated by means of it. This longing turns into a node; winds the soul and body of the lover, and hand the lover in the fire. Hence, love is compared with fire. Love is an all-purpose term so that it has interference to fire, candle, daylight, oil-lamp and so moving substances. Love is a reflection in the body of the lover that has a relation with the present, pre-eternity and post-eternity. The tie between love and fire has become close relatives in the poems of Melayê Cizîrî. As well, Mela has treated fire by love; he has used it in some other forms, too. Among the terms such as mirage of fire, cinder, fire of Tur, fire worshipping to the manifestation of light, breath of fire, metaphoric fire etc., fire of love has been used as the most related notion in the love poems. In this study, the thought of Mela about the fire of love will be researched. Mela, in his poems, handles fire, flame and glow all of which are synonyms. Hereby, he discourses the terms such as burning, glowing, smoke, cauterizing and some other terms that have similar functions like fire. To express the love, notions such as affection, passion and ambition have been used; however, love has expressed the intention of Mela more. ÇAVKANÎ Dawûd Hesenzade Kerîm Abadî, “Meratîbî Qurb Der ‘Irfanî Îslam”, Hîkmetî ‘Îrfanî, Salê Ewwel, Şomare Çarom, Tehran 2012. Ebul’hesen ‘Ebdurrehman Xetmî Lahorî, Şerhê Îrfanê Xezelhayê Hafiz, (Teshîh we Te’lîqat: Bahaeddîn Xirmaşahî, Koreş Mensûrî, Huseyn Mûtî’î Emîn), Cild 3, Neşrê Qetre, Tehran. Fuzulî, Rind û Zahid, (amd. Yusuf Özkan Özburun), Stun yayınları, İstanbul 2016. Halid Cemil Muhammed, Melayê Cizîrî, Sevgi ve Güzelliğin Şairi, (wergêr: Ümit Demirhan), Weşanên Hîvda, İstanbul 2008. İmam Gazzâlî, Mişkâtü’l-Envâr (çev. Süleyman Ateş), İstanbul 1994, s. 40-62; Ebu'l-Abbâs Şehâbeddin Ahmed İbn Hacer El-Heytemi, el Feteva-i Hadisiyye, Darü'l-Kütübi'l-İlmiyye, Beyrut 2014. M. Nesim Doru, Melayê Cizîrî, Hakikat ve Mecaz Arasında Bir Sûfî’nin Portresi, Nûbihar Yayınları, İstanbul 2016. ……………….. Melayê Cizîrî, Felsefî ve Tasavvufî Görüşleri, Nûbihar Yayınları, İstanbul 2016. Mahmut Aksu, Bediuzzaman’ın Van Hayatı, Van 2000. Mela Ehmedê Zivîngî, Gerdeniya Gewherî, (amd. Emîn Narozî), C. II, Weşanxaneya Avesta, İstanbul 2013. Melayê Cizîrî, Dîwan, (amd. Arif Zêrewan), Weşanên Nefel, Stockholm 2004. Molla Ahmet-i Cezîrî, Dîwan, (Wergêr: Osman Tûnç), Kültür ve Turizm Bakanlığı Yayınları, Ankara 2012. Nesrullah Îmamî- Îsmaîl ‘Ebdî Mekûned, “Ateş-î ‘Işiq Ez Dîdegahê Mewlana”, Pejûheşname Zeban û Edebîyatê Farsî, Dewrê Dovvom, Şomare 5, Behar 1389. Qutbeddîn ebu’l Mezher Mensûr b. Ezdîşêr el- ‘Ebadî, Sofîname, İntîşaratê Ferhengê Îran, Tehran 1347. 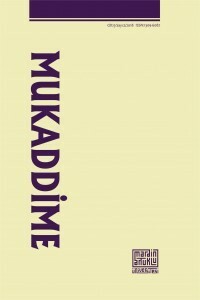 Sadık Armutlu, “Kelebeğin Aşeteşe Yolculuğu: Klasik Fars ve Türk Edebiyatında Şem’ ü Pervane Mesnevileri”, A.Ü. Türkiyat Araştırmaları Enstitüsü Dergisi Sayı 39, Erzurum 2009. Said Nûrsî, Lemalar, Makam Tanzimli Risale-i Nur Külliyatı, Tenvir Neşriyat, İstanbul 2014. Selçuk Eraydın, Tasavvuf ve Tarikatlar, M.Ü. İlahayiyat Fakültesi Yayınları, İstanbul 2014. Semih CEYLAN, , İslam Ansiklopedisi, C.29, r. Ankara 2010. Şeyx Necmeddîn Razî, “ Rîsaleî ‘Eşq û ‘Eql, Mi’yarî’s-Sedef Fî Mîsdaqî’l-‘Eşq”.